Pizza Crust – Better than Pizza Hut! Pizza Crust - Better than Pizza Hut! After years of nominal success, we finally got it. Crunchy + Tasty. It bakes for 45 minutes but it's well worth the wait! And definitely worth the investment of buying a cast iron pizza pan. 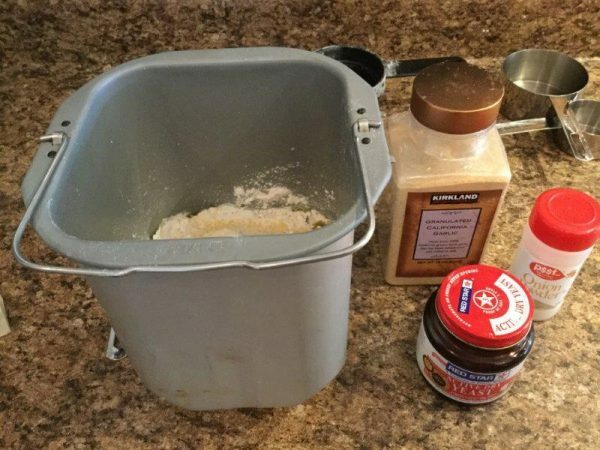 Add to bread machine and set to "pizza dough" cycle. 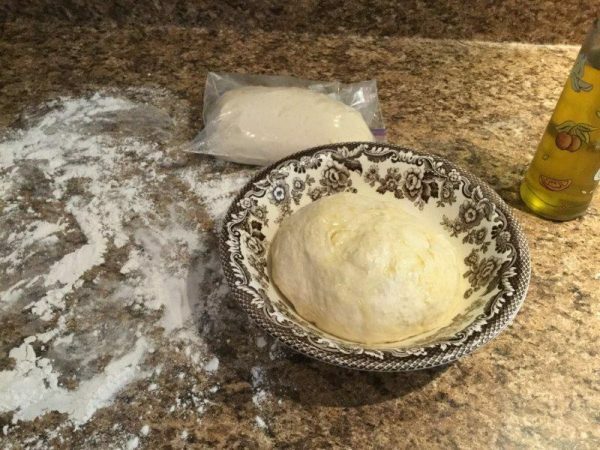 When completed place on well floured surface and divide into 2 balls. At this point you can freeze or refrigerate one for future use. (It will keep in the fridge for 1-2 days.) Allow ball to raise in a well oiled bowl on a heating pad for 30 minutes covered with damp tea towel. On a well floured surface use rolling pin to flatten into size about an inch larger than your pizza pan. 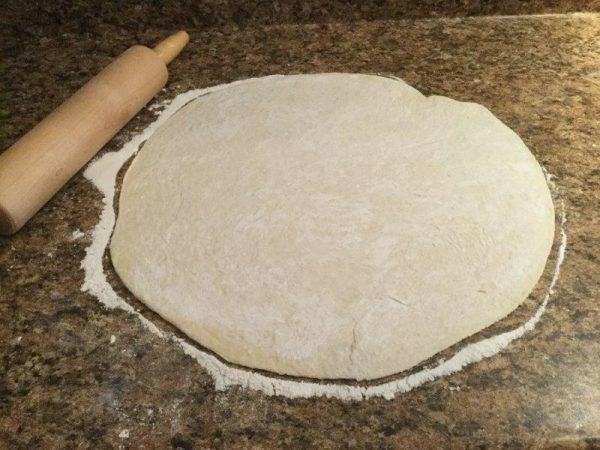 Place dough into pan and fold under the edges to for a lip for your crust. We use a cast iron pizza pan sprayed with Extra Virgin Olive Oil (EVOO). 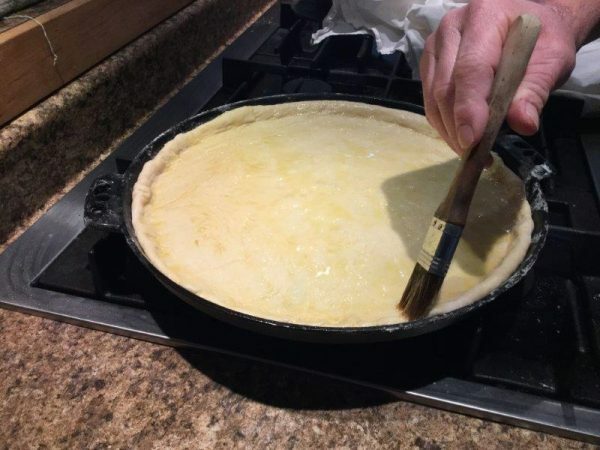 Spray top of crust with EVOO and add topping of your choice. DO NOT PREHEAT OVEN. Bake at 400 degrees for 45 minutes. No it's not a typo - 45 minutes!